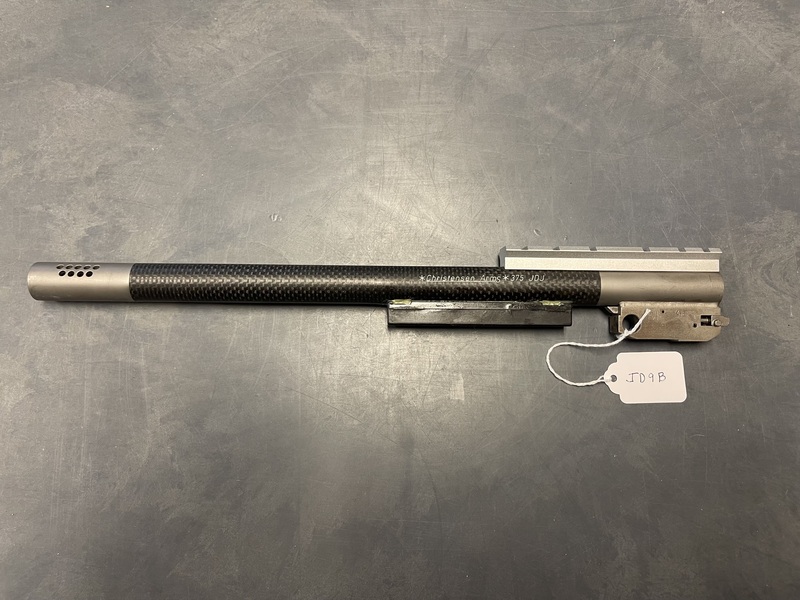 In February, Dylan at Match Grade Machine approached us about creating 45 caliber Muzzleloader barrels for the Encore and the G2. MGM has worked tirelessly to get these new barrels out, and we worked with Revolution to create a prototype for the necessary forends. The barrels and forends will be in stock by the end of July, and ready to ship! We are loving the Color Case Hardened frames that Turnbull Restoration is working on for us. They are one of a kind and gorgeous. 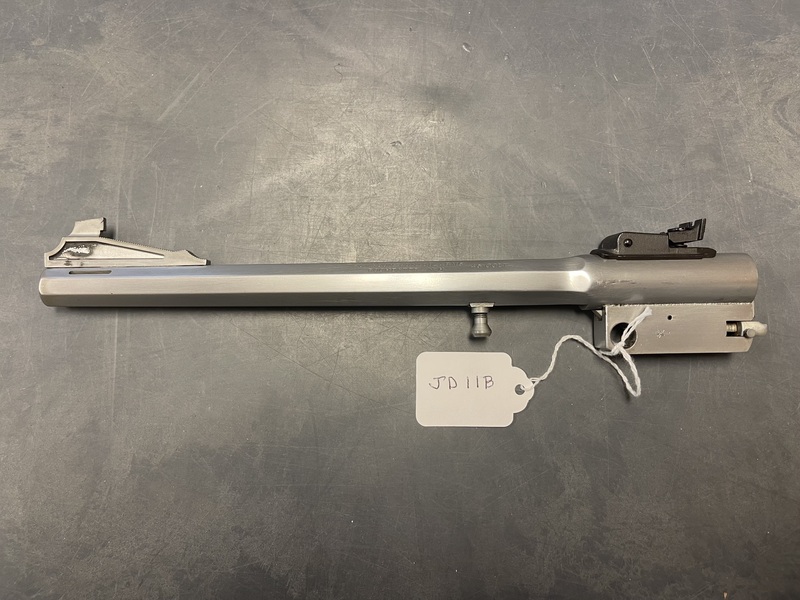 We are offering them in Encore Prohunter and G2 Contender pistol frame assemblies. They can be used for pistol or rifle. We also have the ability for you to send your BLUED pre-owned Encore Prohunter or G2 Contender frames to us and we will send them to have them color case hardened. Check out our youtube video for more information. Pictured below is a Color Case Hardened Frame with a Woodland Camo Crusher Loop Grip Set. It will also have a 7-30 Waters barrel that was sent to our friends at Mag-na-port to have them work up some custom magic. We have a few of the pre-sale 50th Anniversary G2 Contenders left. We don't have a ship date from T/C yet, but we have been told that they are "in assembly". We still have a few of the deeply discounted Thompson Center Scopes left! If you are looking for a good quality scope that won't break the bank, check these out! 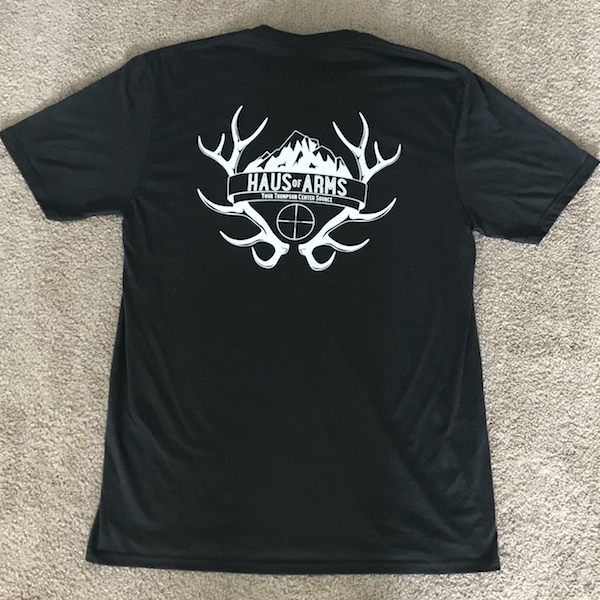 Be the first of your friends to sport a new HausOfArms T-shirt! They are a soft tri-blend, they fit true to size, and they don't shrink. We have them in sizes Medium-3XL. They are $17.50 when ordered with another item. 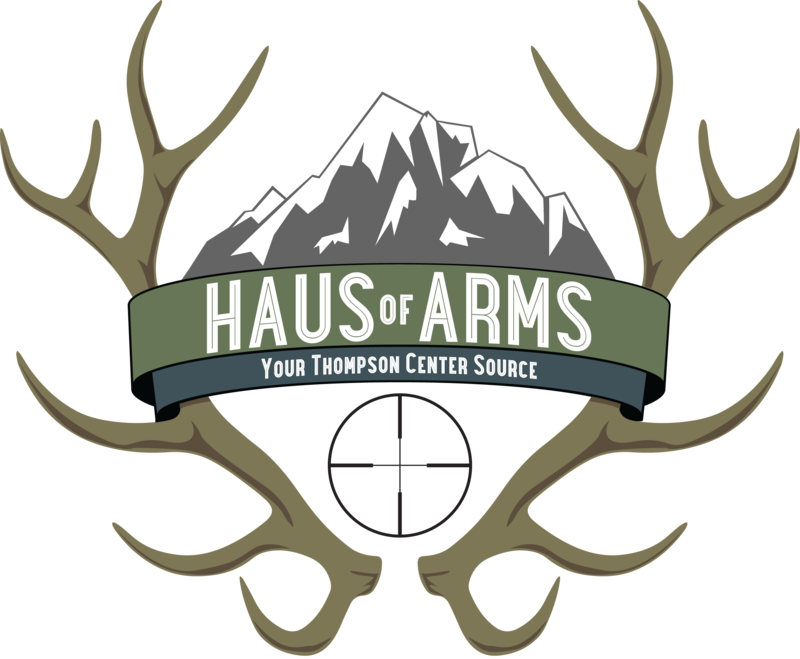 I'd like to take a minute to give everyone a little background on HausOfArms. After a few decades working as a Union Electrician, I faced my first layoff. I began looking for ways to supplement my income, and I eventually found Thompson Center. My son, Eric, helped me with the social media and internet portion, and I ran the business out of a small home office. Each year, the business has grown. Nine years later, my wife, Ruth, and my daughter, Emily, also help run the business. We appreciate each and everyone of our customers, and we are committed to providing the same, outstanding level of customer service. Here's a throwback to the HausOfArms crew in the mid 80s!